According to the football transfer rumours in Croatian Media, Everton have joined the hunt for KAA Gent goalkeeper Lovre Kalinic. Lovre Kalinic has joined KAA Gent from Hajduk Split for a fee in the region of 3 million euros on 1st January 2017. The 26 year-old has a valid contract with KAA Gent until June 2021. Since his arrival from Hajduk Split, Lovre Kalinic has conceded five goals and provided four clean sheets in eight games for KAA Gent. The 26-year-old is considered to be one of the best goalkeepers in Croatia. 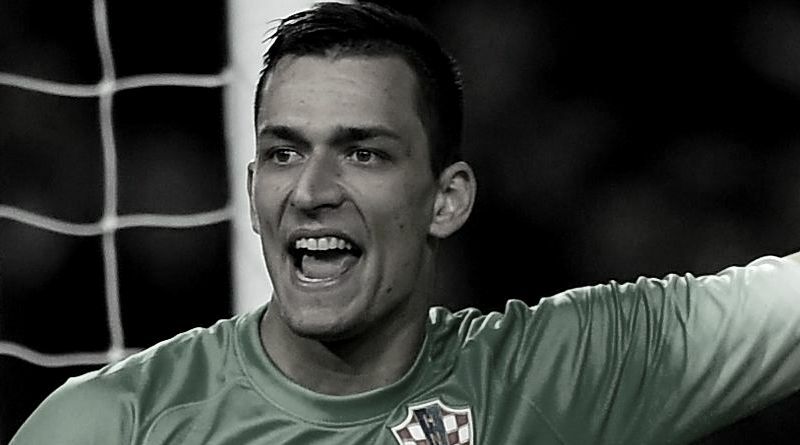 Lovre Kalinic has represented Croatia at Under-21 level, winning six caps, before making his senior international debut in November 2014. As a member of Croatia national team, he won only six caps. The Croatia international is a goalkeeper who has impressed many European Clubs in the last month, and it is understood that Everton manager Ronald Koeman would prefer playing him as a replacement of Joel Robles. Premier League clubs West Ham United and Southampton are apparently trailing Everton in the pursuit of KAA Gent goalkeeper Lovre Kalinic. Euro Football Rumours were informed that KAA Gent valuate their goalkeeper Lovre Kalinic in the region of 12 million euros. How strong that interest is and whether Everton will make a summer move remains to be seen but it is certainly one worth keeping an eye on.